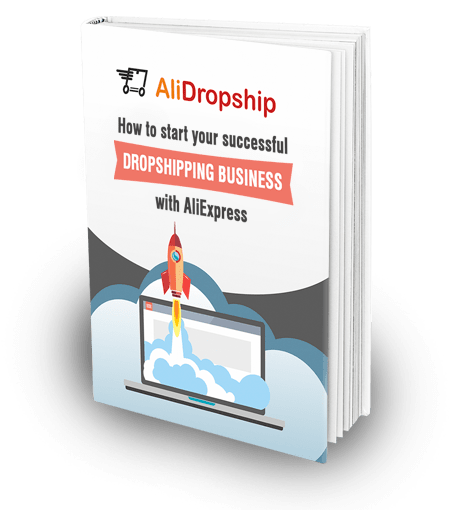 Are you thinking about starting an online store with dropshipping in 2019? We’ve collected the most important stats about this industry! So, here’s what you need to consider if you’d like to get an independent dropshipping business in the coming year. Okay, first of all, that’s a lot of money. These estimates are given by Grand View Research, Inc., and the company also expects that the market will grow by around 11,7% every year. That’s an impressive number, too – but what should tell you? B2C eCommerce is a specific type of online trade: it means that a private individual buys something for a personal use from a company/corporation/manufacturer/, and makes this deal via Internet. So, every time you sell something through your dropshipping store, you perform as a eCommerce market player. 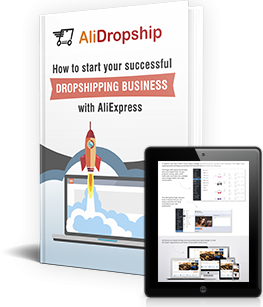 Now, you’re getting it: as a dropshipping store owner, you will be a part of this booming, thriving market. And, as this market player, you can count on a fair share of this incredible cash flow! We have a lot of evidence supporting this theory – check it out right now! When the market is on the rise, there are lots and lots of players on it. It makes some people worry: what if the market will overheat? What if the competition will be too intense, and there won’t be enough demand? What if everyone will go bankrupt eventually? According to Statista, it’s not going to happen. 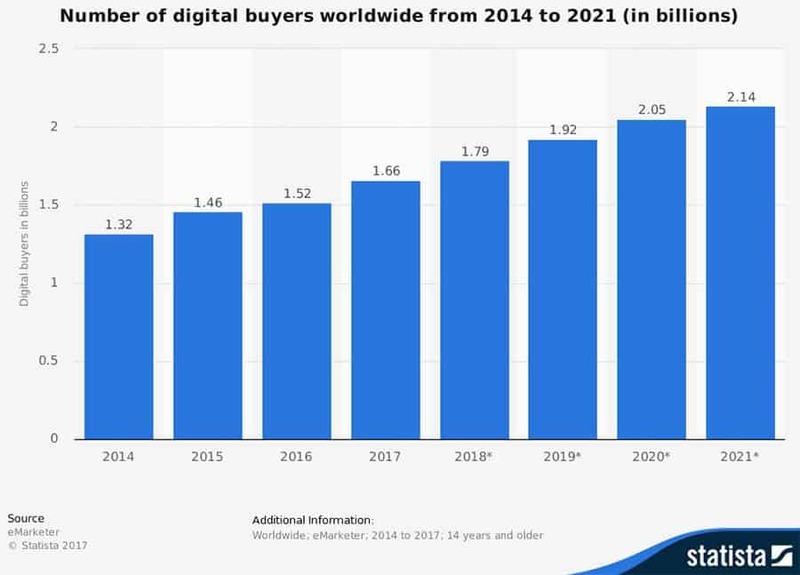 Billions of people worldwide will make online purchases in the nearest future, which means that supply and demand across various eCommerce markets will stay balanced. 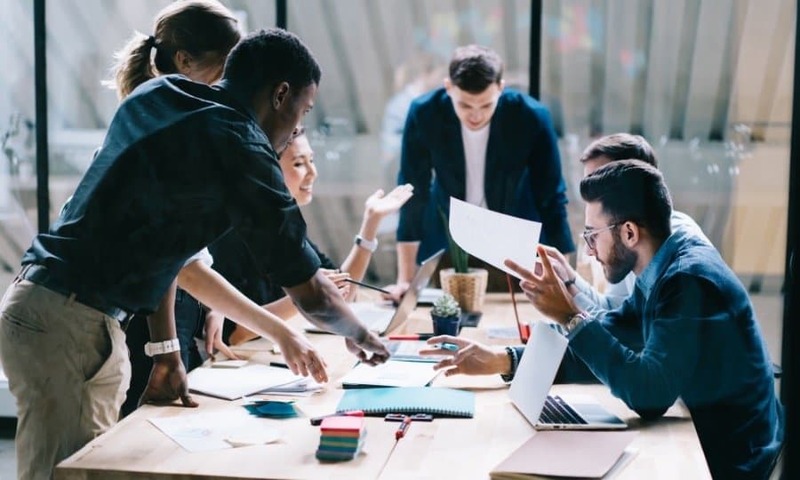 The use of innovative techniques of customers’ research, marketing, and advertising (companies create new ways to learn more about their target audience and to tailor their offers to the public needs). Simply speaking, as a dropshipping store owner, you won’t see a lack of customers. Thousands of people can potentially buy the products in your online dropshipping store – but, their purchasing decisions depend on your business management, and that’s our next point to consider. 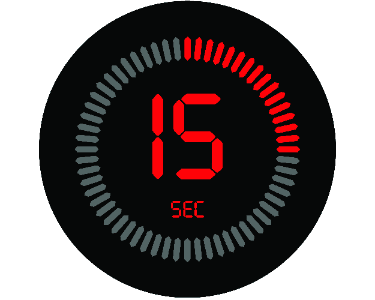 This 15 Second Rule means that if a person doesn’t get really interested with your online store in 15 seconds after opening it, you lose this customer. What is even more important, most likely, your visitor will leave your site if it loads for more than 3 seconds. Yes, Internet is tough. But you’re tougher! Your online store design: it should be professional, trustworthy, and relevant to the interests of your potential buyers. The choice of dropshipping products: there should be enough high-quality, eye-catching items that trigger impulse purchases. The tech aspects of your website: it should load quickly, perform smoothly, and be secure for payments transactions. Read our free guide on 30 reasons why people leave your store without making a purchase, and go through this checklist to make sure your website is convenient to visitors. That’s curious to learn, right? For dropshipping stores, this is an exceptionally important aspect to consider. Your buyers don’t have the chance to see, touch, or try the products before the purchase. Naturally, they might have some doubts. There is no wonder, then, that they only can rely on the previous buyers’ experience. And you, as a dropshipping store owner, need to find a way to create the perfect environment for placing an order. Here’s when some interesting findings from Flockler come into play. Apparently, in eCommerce, the conversion rate increases by 20-30% if, while placing an order, a buyer sees user-generated content that is related to the purchased product. Basically, you can dramatically boost your sales if you include honest feedback from your previous buyers in your online store! Here are 5 ways to do it on a dropshipping website. Now, you’re ready to dive into this business! Arm yourself with the valuable stats we’ve shared in this article, read the tips and educational materials we’ve included here, and make the most of starting an online store with dropshipping in 2019!